Compliance training programs are mandatory in organizations and serve the purpose of educating employees on the rules and regulations followed in their industry or job function. The general assumption is that compliance training programs are boring. But it doesn’t have to be, with e-learning courses on compliance training. This series of infographics gives you more information on creating effective compliance training programs. 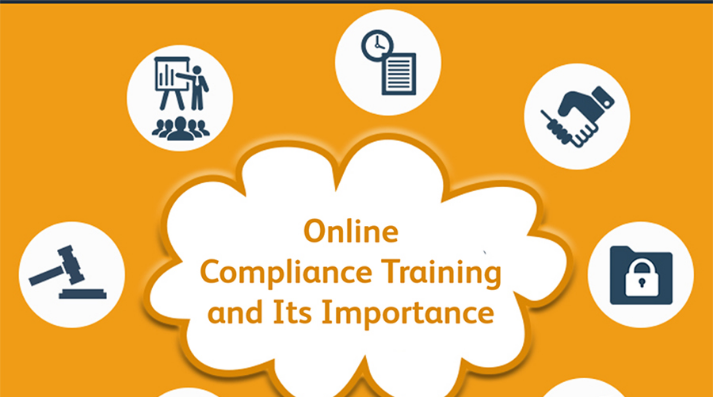 What do organizations gain by investing in online compliance training programs? Find out from this infographic. Wondering how to implement successful compliance training in your organization? Here are some best practices that can help you. Can compliance training be customized? Of course, yes. When you opt for online compliance training, it is possible to use strategies that deliver content effectively, and in a format that engages your learners. Most compliance topics are far from compelling. But a dry, dull subject matter does not mean that the online training program has to be equally boring. Here are some interesting ways to make online compliance training engaging.